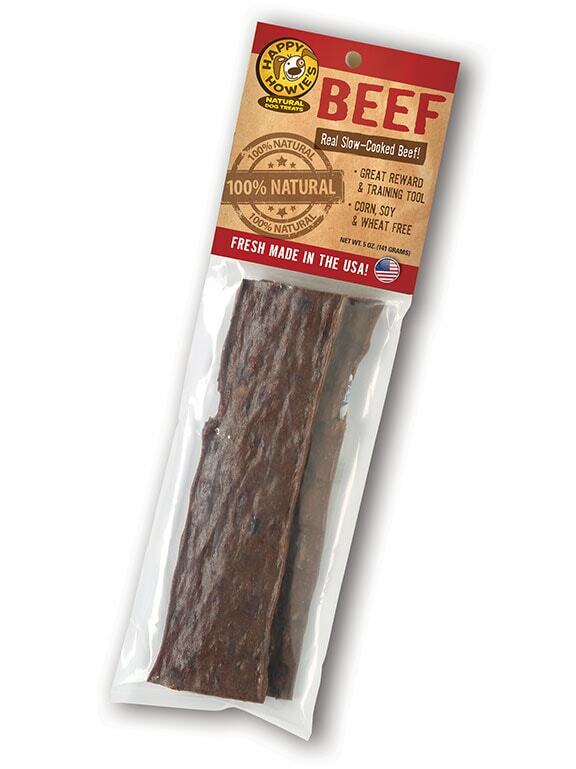 6-inch BEEF JERKY (2 pack) – Premium all natural jerky. Thinner and chewier than burgers, same great qualities. 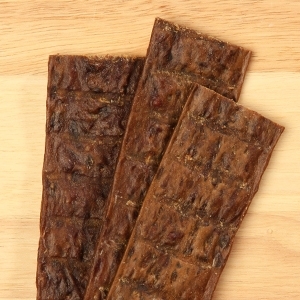 6-inch BEEF JERKY (2 pack) – These slow-cooked premium 6″ Beef Jerky treats are made with gluten-free rice flour and 100% all-natural beef. Thinner than our Woof Stix and Burgers but with the same great qualities, our jerky treats are an excellent way to reward your dog. My dog loves these but I have to take it away when she’s down to about an inch. She tried to swallow to big a bite and almost choked. My little pup loves these! And I love this brand because of the limited ingredients which makes me feel good about what I’m giving her. No added fillers.